How to Read Nutrition Labels If you’re trying to eat healthfully, the nutrition label becomes a must-use tool for making better food choices. Once you learn to quickly scan the Nutrition Facts label for essential information, you’ll be able to shop faster, eat better, and if it’s your goal to lose weight with greater ease. As you read through this guide keep in mind that the Nutrition Facts label changes from time to time. The label you see in the store today will be changing in the coming years to reflect the newest health guidelines established by the U. S. Food and Drug Administration (FDA). So when will you see the changes? You may see some already. Some food manufacturers are already incorporating updates in their product labels. But the most current FDA rules suggest that changes should be in place by dates ranging from January 1, 2020, to January 1, 2021, depending on the size of the food company. The images throughout this guide will show an example of an older version of the nutrition label on the left and an example of the newer version on the right, so no matter which version you find on a package you will know how to read food labels correctly. Portion control is essential for managing your weight. Counting calories accurately matters, too. So it’s essential that you check the serving size on the food label because it will help you to eat correct portions and to count the right number of calories you eat each day. The serving size on the package is not the amount of food you should eat. You shouldn’t use this number to decide how much food to eat. Instead, use this number only to determine how many calories are in a typical serving of that food. – Use “Serving Size” to calculate calories correctly. If you use a calorie tracking app you will enter foods and food amounts into your daily food journal to count calories and manage your diet. Most of these services use “Serving size” as the default amount. Be sure that you change the amount if your portion size is different than the serving size listed. No matter what kind of eating plan you follow, calories matter. Of course, eating quality calories (foods that are more nutritious) you’ll have an easier time managing your weight. It is also essential to eat the right number of calories each day. When you read nutrition labels at the grocery store, check the calorie count to see how many you’ll gain when you eat the portion of that food that you usually consume. Compare different brands and products to see if you can make the best choice. Eating some healthy fat is good for your body and will help you to stay satisfied throughout the day. But fat is full of calories so you need to choose your fat carefully and eat it sparingly. When you read food labels, first check the total number of fat grams (red arrows) provided by the food. Check the numbers below (yellow arrows) for further information. – Saturated fat. While there is some emerging evidence that saturated fat may not be as bad for our bodies as we thought, most experts still recommend that you eat less saturated fat and more polyunsaturated fat or monounsaturated fat for good health. It’s best to choose foods that have the lowest number listed here. – Trans fat. Experts agree that trans fats are not good for your body. Try to choose foods with as little trans fat as possible. – Cholesterol. Your doctor may have told you to reduce your dietary cholesterol intake. If so, this number is important for you. And although it is OK to eat eggs and other sources of dietary cholesterol, most experts still agree that keeping an eye on your intake is important. Whether or not you’re counting carbs, choosing better sources of carbohydrates is important for good health. The food label can help you make better decisions about which food to choose. But you’ll need to look underneath the “Carbohydrates” listing to get the information you need. Check these numbers to choose good carbohydrates for your diet. – Dietary fiber. Fiber is your friend. You’ll feel full longer if you choose foods with more dietary fiber. If you can choose foods with a higher number in this area, you may have an easier time sticking to your diet. Packaged foods that contain whole grains or vegetables like spinach are often good sources of dietary fiber. Some foods also provide added fiber which may be helpful for some healthy eaters. It’s smart to watch your sugar intake if you want to reach and maintain a healthy weight, so you’ll want to check this number and choose foods that contain less sugar. Not all sugar-rich foods are the same. The new Nutrition Facts label makes it easier to choose healthier foods with sugar. Protein is another important macronutrient for maintaining muscle mass. When you select foods at the grocery store read food labels and try to choose some foods that provide protein. Lean meat products and low-fat dairy products are good examples. But when you check the nutrition label for protein, scan the fat grams to make the number is not too high. Many protein-rich foods are also high in saturated fat and some foods in the dairy aisle contain unhealthy trans fat. When it comes to sodium, most experts recommend that healthy eaters keep their sodium intake under 2,300 milligrams per day. If you’re conscious about your intake for managing a specific health condition refer to the appropriate recommendations. The numbers listed under the thick black bar give you important information about the healthy micronutrients in your food, too. If you choose foods that are more nutritious, it will be easier for you to build a strong, fit body. 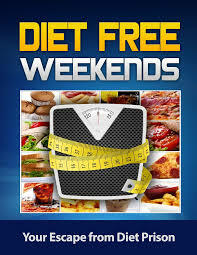 In a perfect world, dieters would choose foods that are low in calories and high in nutrition. You may overlook the numbers listed under “percent daily value.” But the numbers tell you how much a particular nutrient contributes to your total daily diet if you consume 2,000 calories per day. If you consume fewer than 2000 calories per day, then the percents listed in this column will not be accurate for you. Overall, the percent daily value can quickly help you gage whether or not a food is high or low in a particular nutrient. Generally, a percent daily value of 5 percent or less means that the food is low in that nutrient and a value of 20 percent or more means that the food is high in the nutrient. It’s essential that you check the serving size on the food label because it will help you to eat correct portions and to count the right number of calories you eat each day. Instead, use this number only to determine how many calories are in a typical serving of that food. If you use a calorie tracking app you will enter foods and food amounts into your daily food journal to count calories and manage your diet. The food label can help you make better decisions about which food to choose. When you select foods at the grocery store read food labels and try to choose some foods that provide protein.